Sometimes a myth is talked about so much that it can become the truth over time. But not in this case. 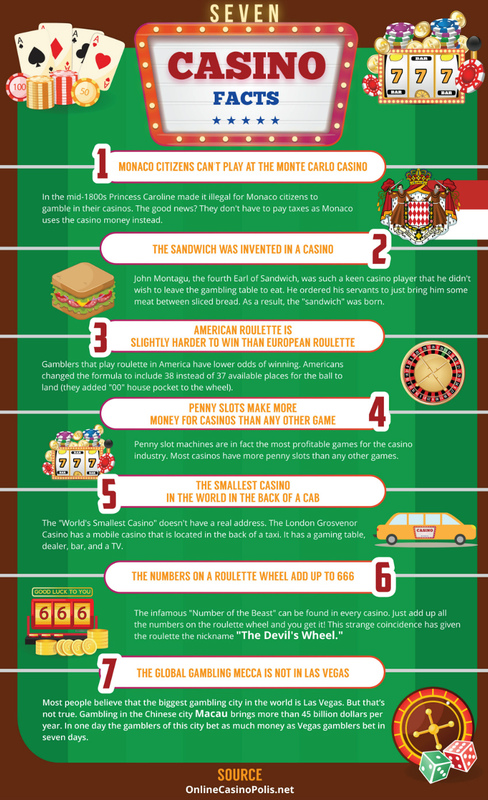 In the following infographic by onlinecasinopolis.net, you will only find the most interesting facts proven by history. One of such facts is a well-accounted story about the invention of the sandwich which, to no surprise, took place nowhere else but in a casino. This and six others included below.